We pause today to remember those men and women who paid the final price that we may continue to enjoy the richness of our liberty. We remember those as well, who though they did not die in service, put themselves in harm’s way with a willingness to be made an offering to the future of our nation. We remember them. We honor them. My family, no doubt like yours, has a rich and varied history of military service. How far back have you gotten in your research? 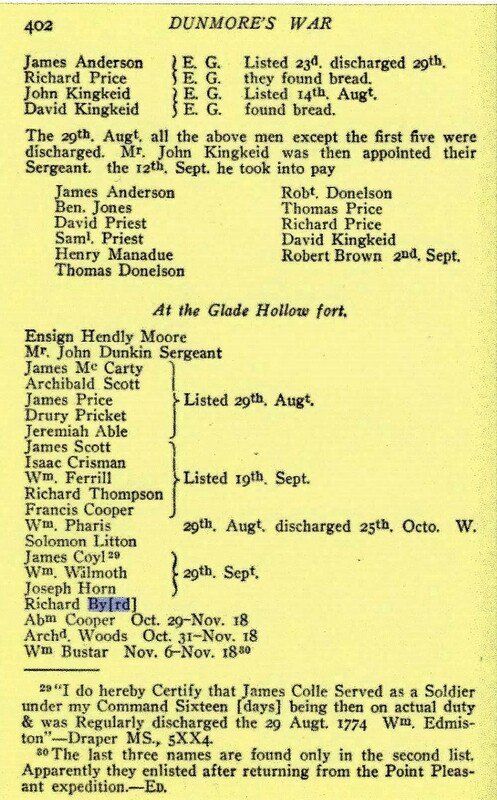 What do you know about your ancestors’ service? We have family who served in the Virginia Militia prior to Concord and Lexington. [i] They were settlers in the Clinch River valley in today’s far southwestern Virginia. They built a series of forts as safe havens against the attacks of Native Americans. [ii] They were part of what is known as Lord Dunmore’s[iii] War[iv] and at least one of our ancestors fought at the Battle of Point Pleasant[v] only months before the Revolutionary War “officially”[vi] began. Our 4th great-grandfather Richard Byrd arrived at the Glade Hollow Fort on September 29, 1774. He would soon participate in the Battle of Point Pleasant. On his return from the battle, he’s joined at Glade Hollow by William Bustar, his father-in-law and our 5th great-grandfather. He’s also joined by Archd (Archibald) Woods on that same day in November. William Buster married Jane Woods. I have yet to confirm it but I believe Archibald Woods was either our 5th great uncle or our 6th great grandfather. Their combined presence in the fall of 1774 provides a strong clue as to the residency of this group of ancestors. A James Roberts, fighting as part of the Bedford County Militia, also appears in this conflict. He may be one of ours as well. Yet to be determined. This memorial day our family remembers. We celebrate our ancestors’ participation in founding this nation and their honorable service now for over five generations. I salute my family for their part in the story of America. Sign up to “Follow” the blog. Don’t miss a single free posting. Thanks! Thanks Gary for all of the family research you have done and for the entries you have posted on this web page, especially this one today. As a veteran I look back over my Navy career and I’m very humbled by those whom I served with and the many who served before me. I’m very proud of Dad’s service and all of the information about his service you’ve discovered and of course I’m very proud and thankful for the service of my own two sons. No one who defends America should ever feel forgotten. 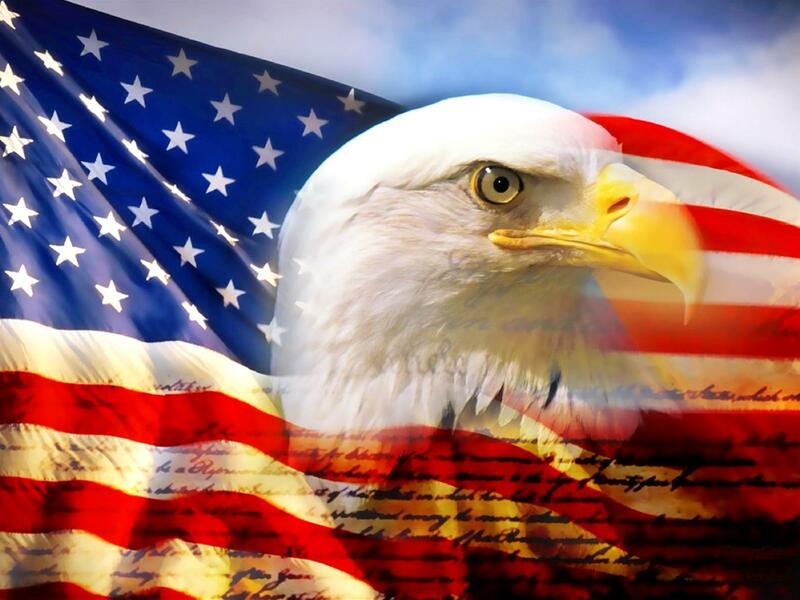 God bless America and those who serve and defend our rights and freedoms.